Disney has announced a new Frozen story set in kingdom of Arendelle called Frozen Northern Lights. It will be told through a book series, animated LEGO shorts and digital extensions. The plot has Anna, Elsa, Olaf, Kristoff and Sven taking an epic adventure to restore the glimmer of the Northern Lights. 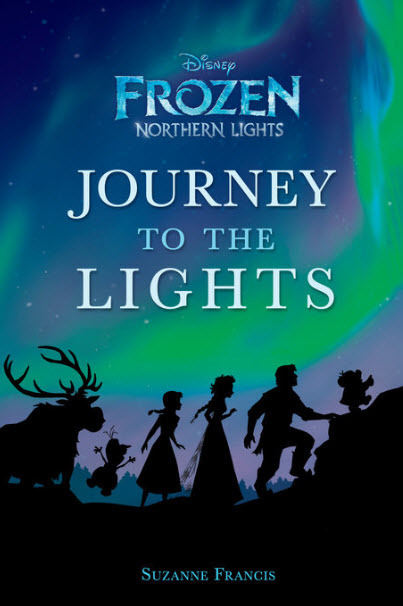 The first book to be released is called Disney Frozen Northern Lights: Journey to the Lights. It introduces a new protagonist, a troll named Little Rock. Little Rock is trying to earn his tracking crystal. The book is authored by Suzanne Francis. It is aimed at children ages 6 to 9. It will arrive in bookstores on July 5, 2016. Disney says an extended collection of books will follow. There will also be four animated shorts and a full compilation that will air on the Disney channel this fall.